The Bike Index now has PDFs for every registered bike! Since one of the biggest reasons for registering bikes is to have a verified record of ownership, we're excited to offer a way to download and/or print a document with your bike's record. 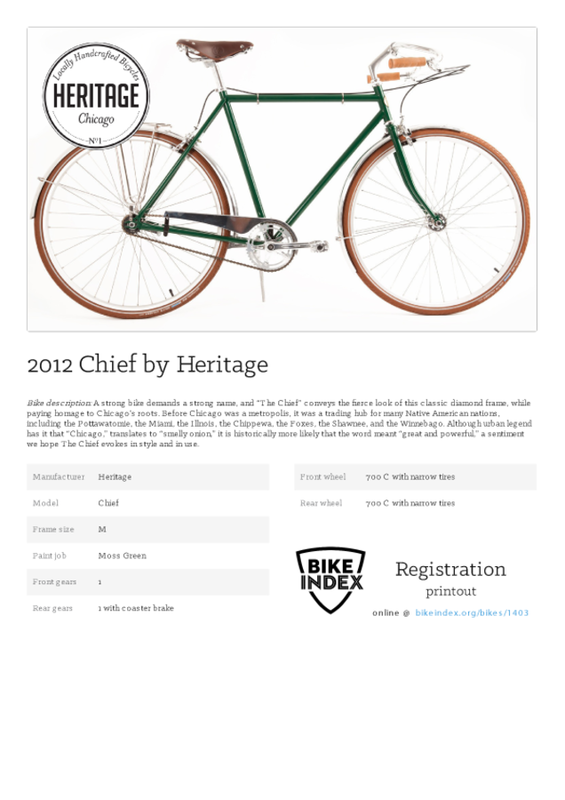 You can download your bike's document on your home screen by clicking Printable registration. 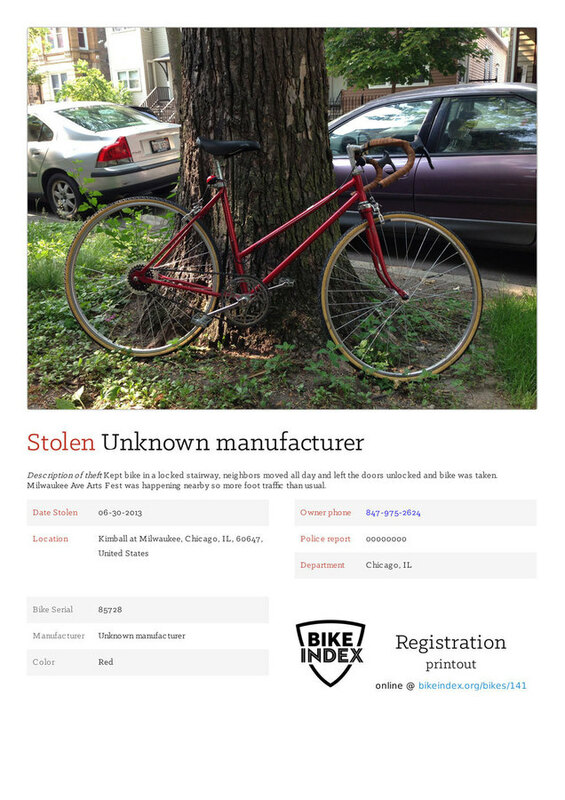 Registration certificates are also great for people with stolen bikes - the PDF displays information about the crime and your phone number, so you can put up wanted posters all over town.